There’s decor I like, and then there’s decor Ican’t. stop. thinking. about. Every week I showcase items that I’m currently obsessing over, aka “Funk favorites.” Right now I’m captivated by the Christopher Boots‘ Prometheus chandeliers, which combine magnets and crystals for an effect that is pure elegance. Natural burnished surfaces and bright metals make a powerful statement on these glamorous pieces. The light fixtures consist of metal rings to which crowns of natural quartz are affixed with powerful rare-earth magnets. The display can be upward or downward facing, and its metal surface can be customized from gold-leaf finishing to brass to palladium. 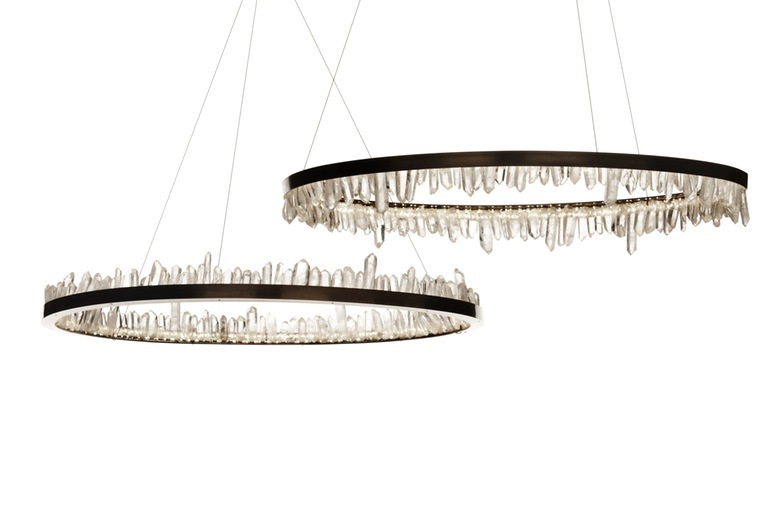 The Prometheus’ vibe is both ethereal and rustic, and on our list of dream chandeliers to own. Wow..! Great Post…! nice design. Excellent Ideas. Your Crystal Chandelier Hanging ideas is so beautiful. I like your ideas. This is very helpful post for me. Thanks for sharing your beneficiary information.